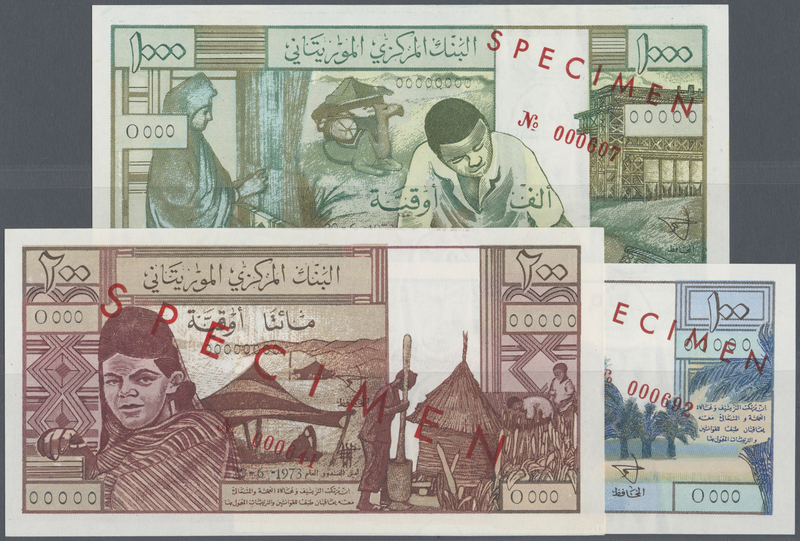 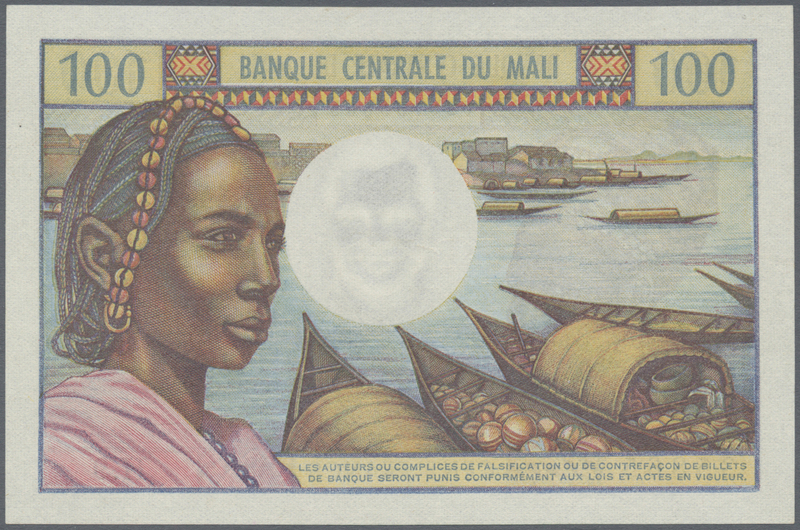 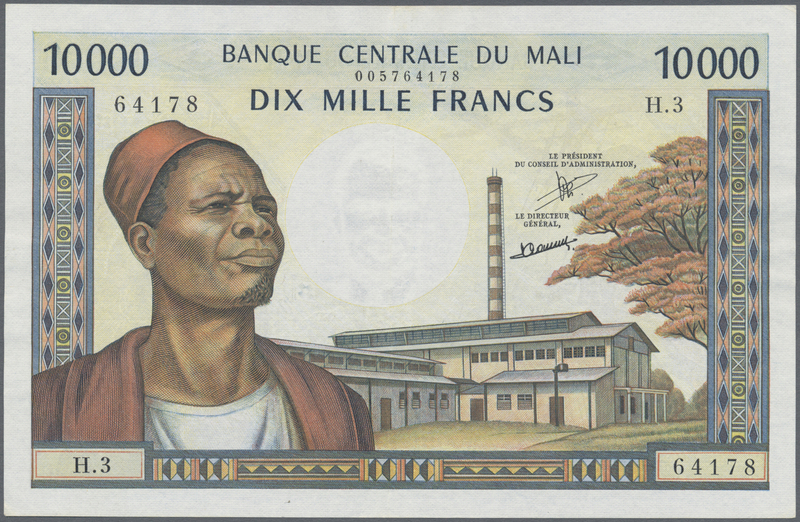 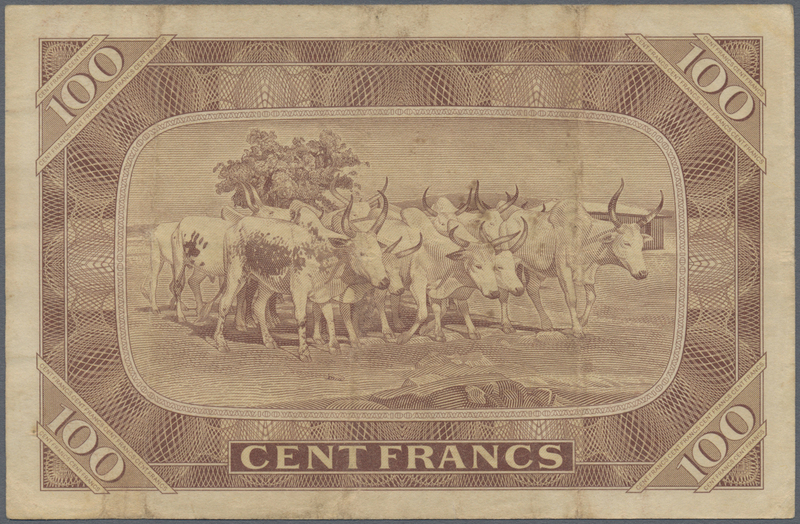 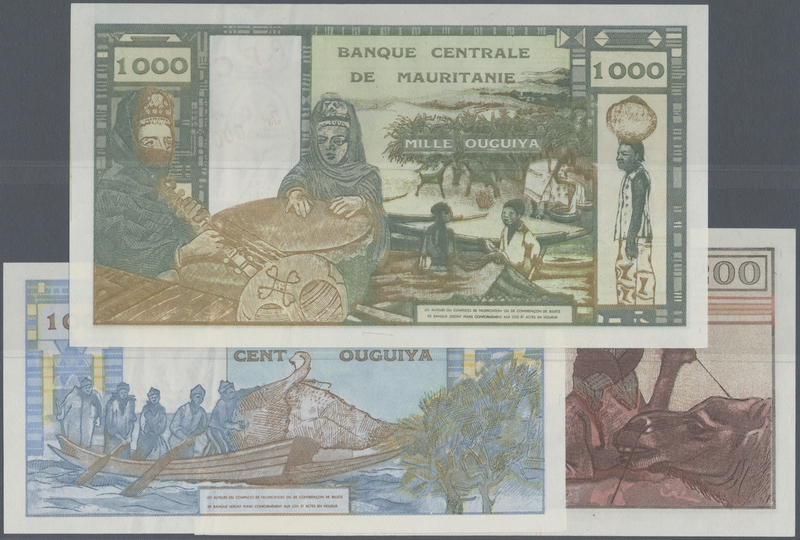 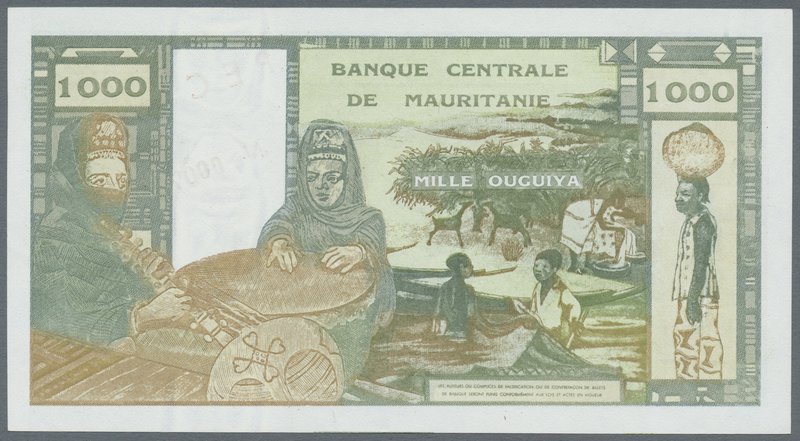 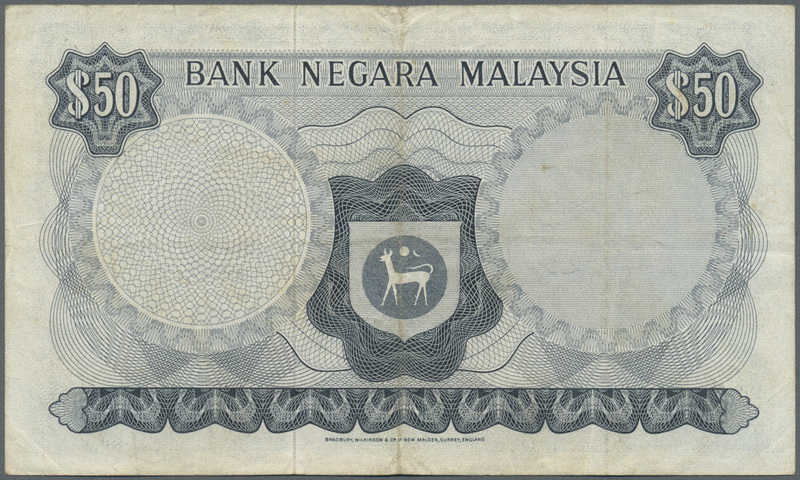 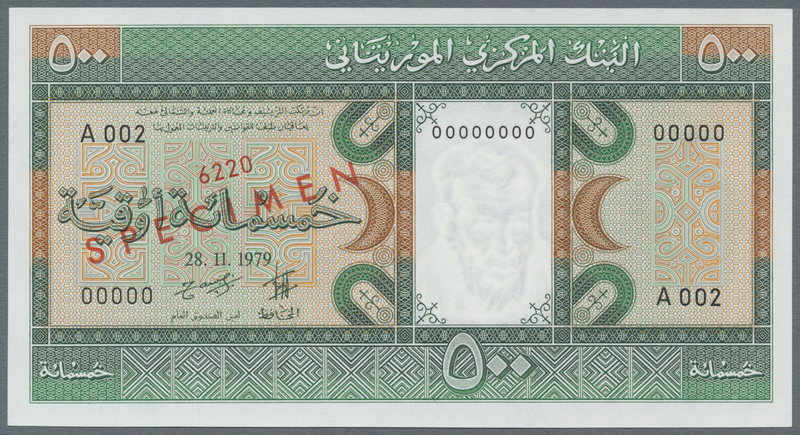 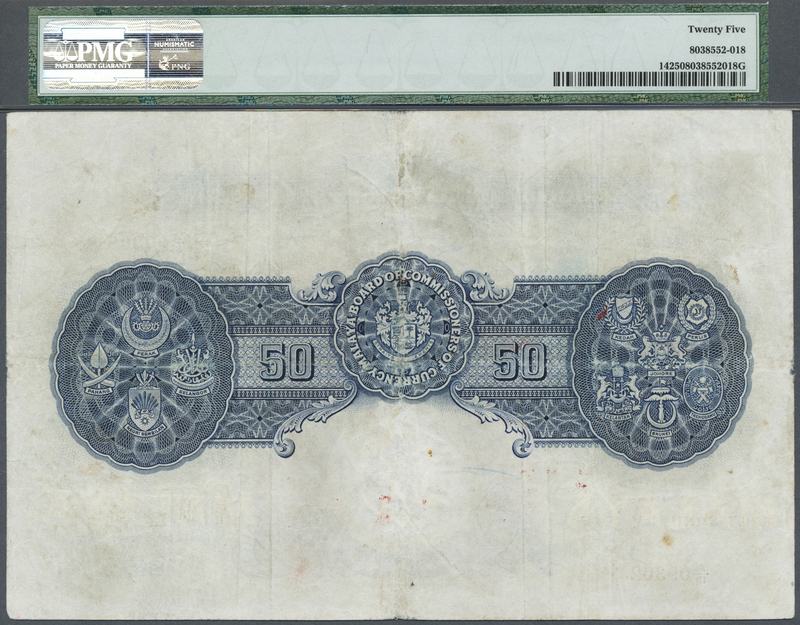 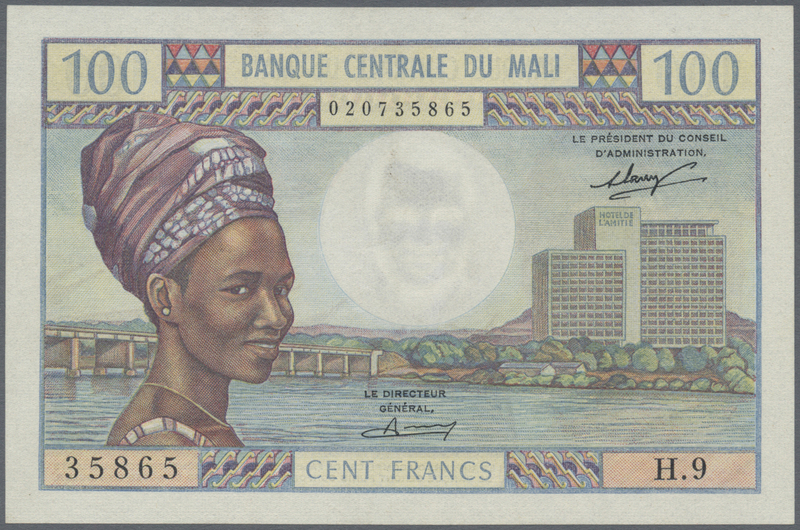 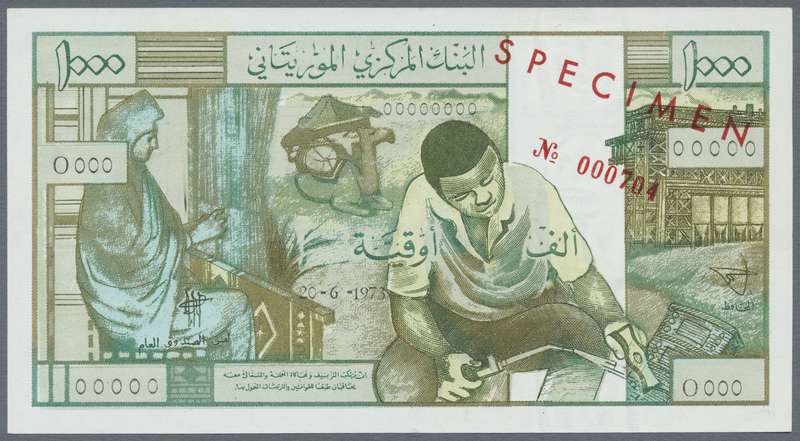 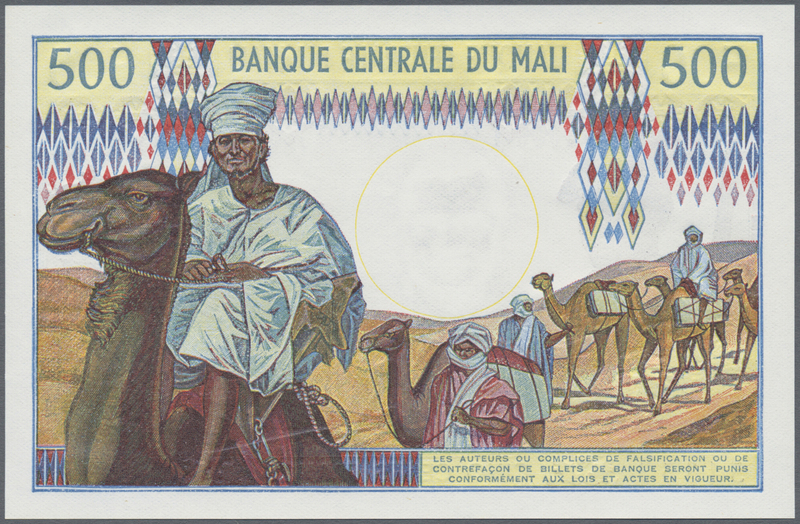 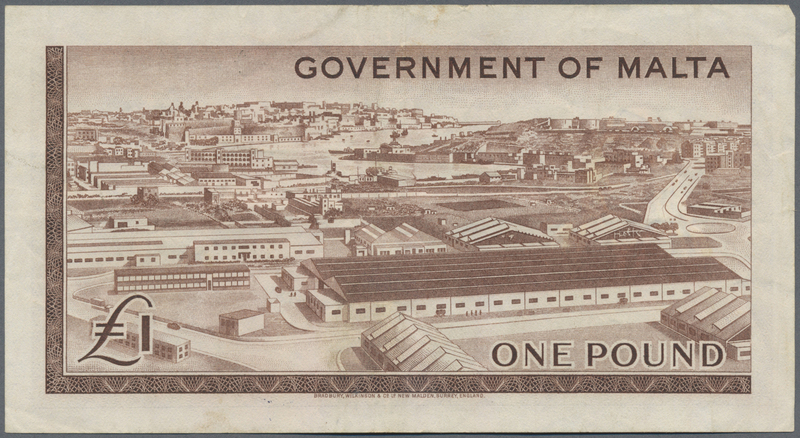 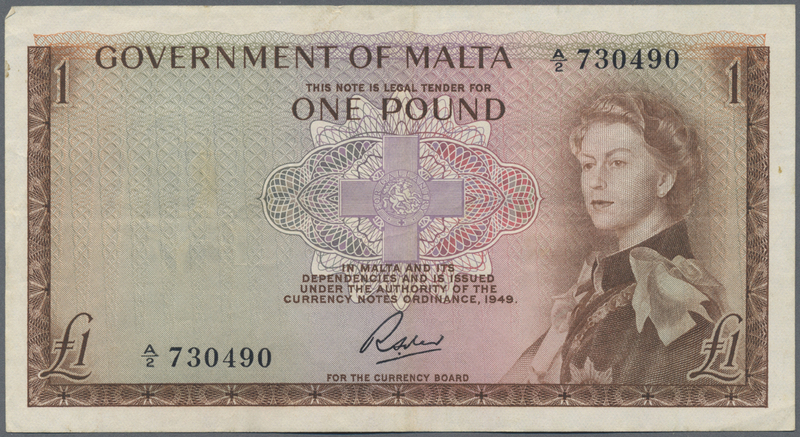 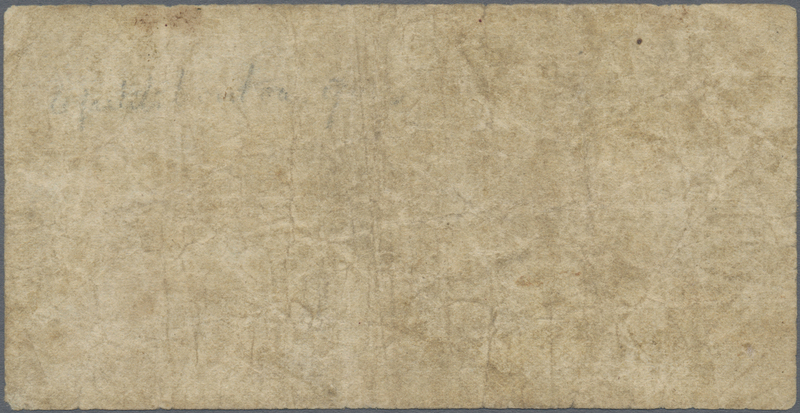 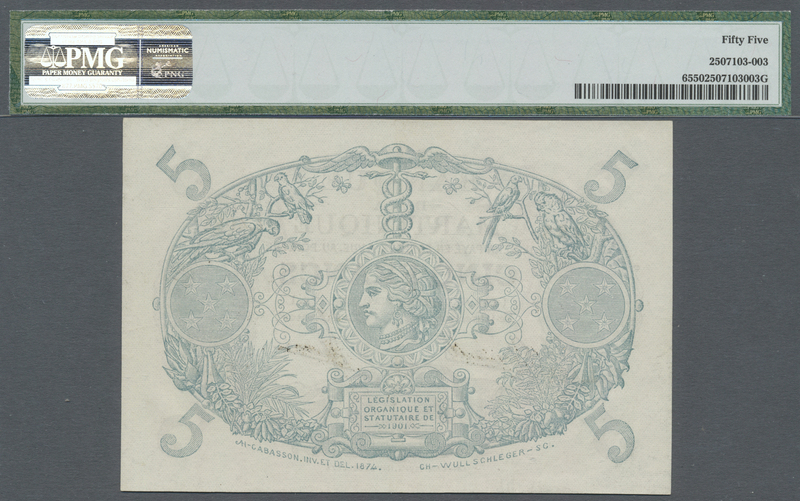 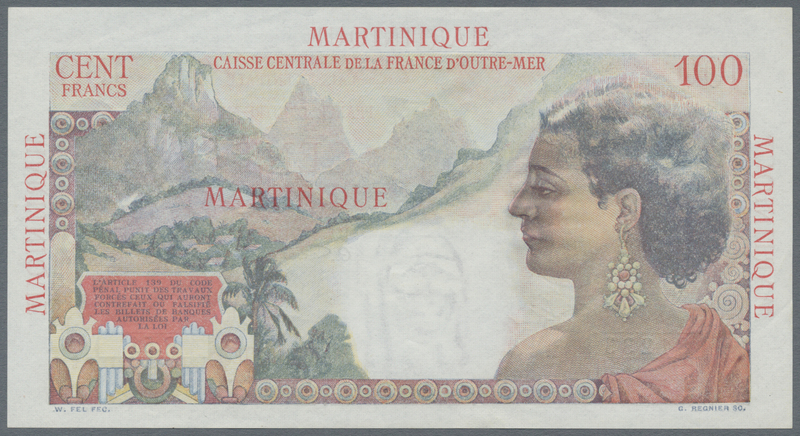 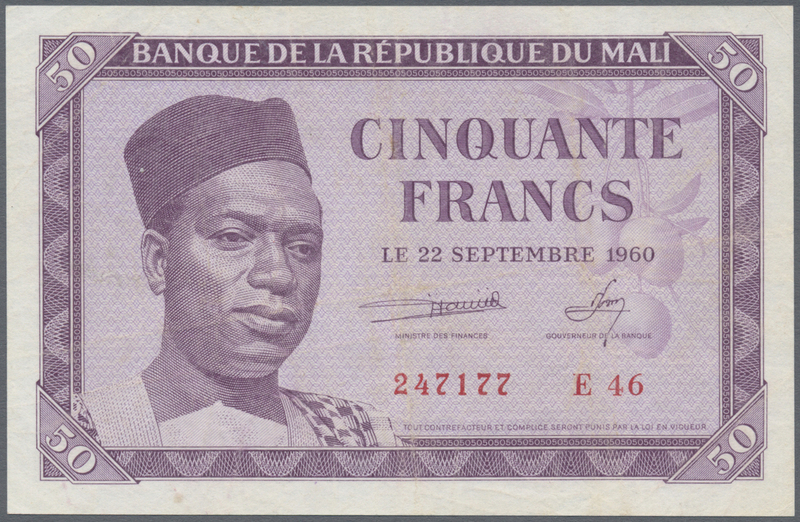 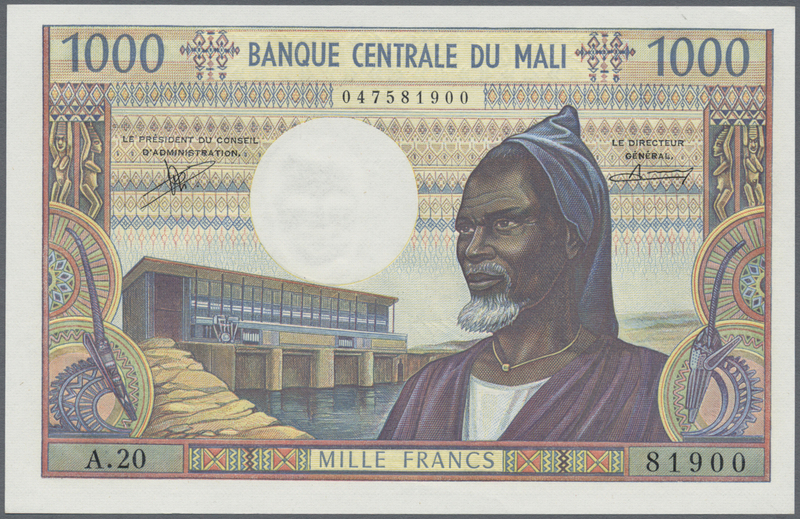 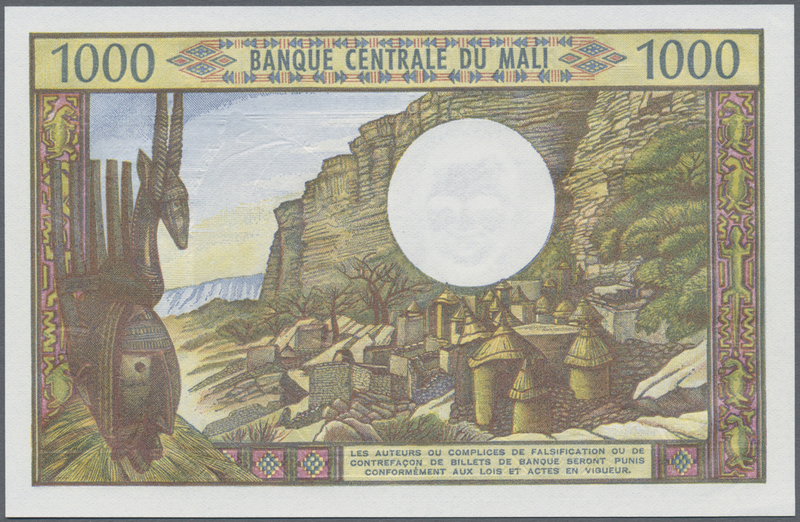 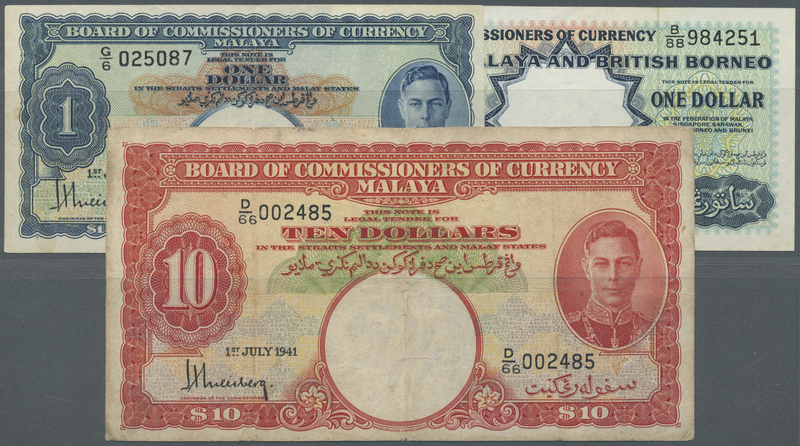 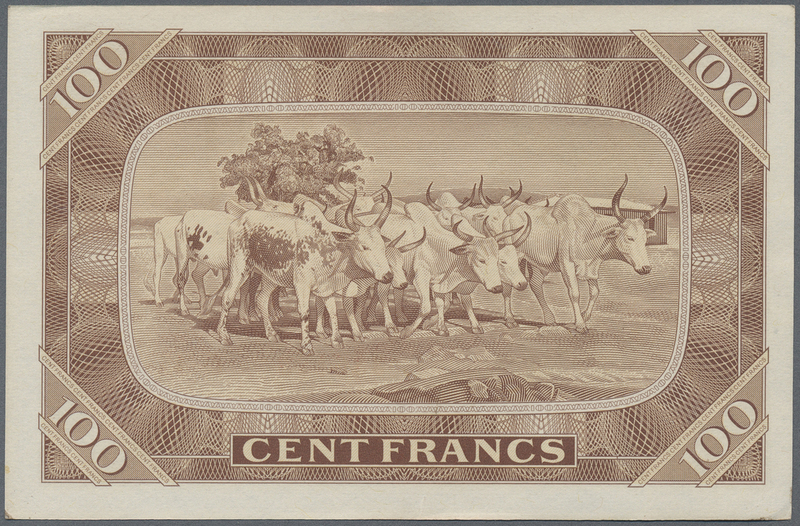 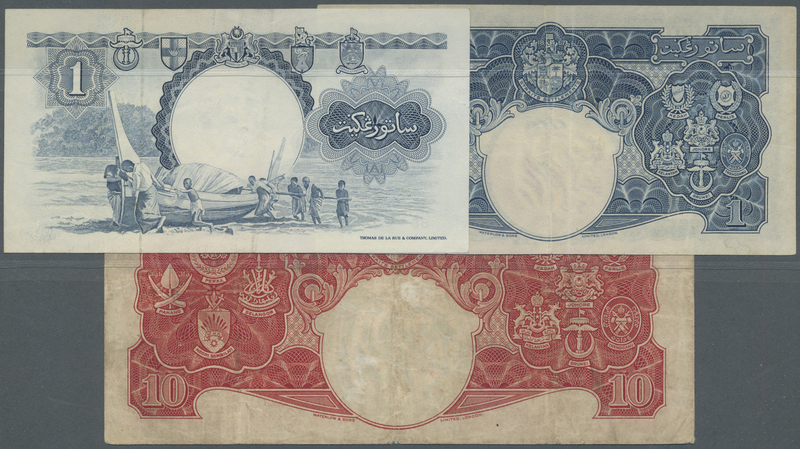 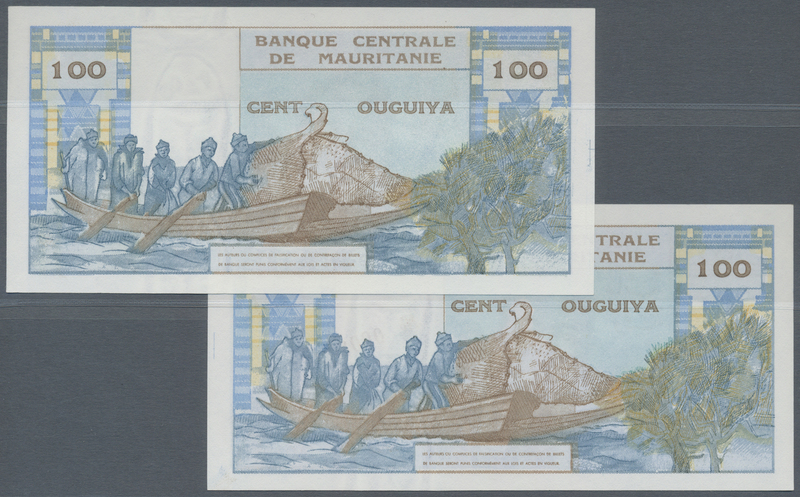 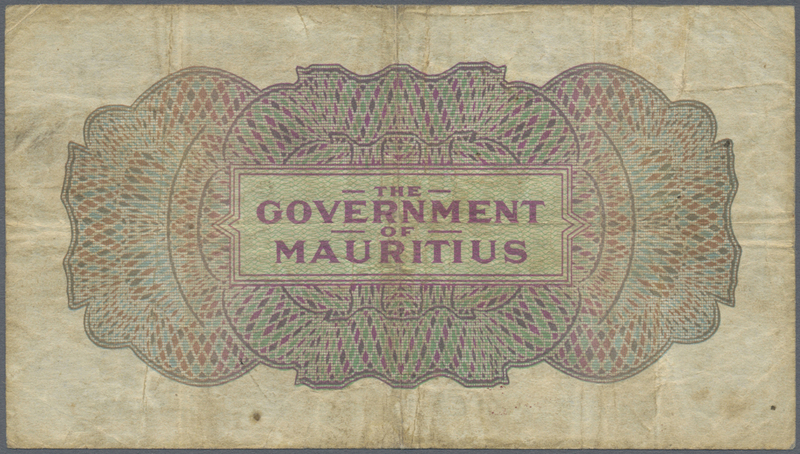 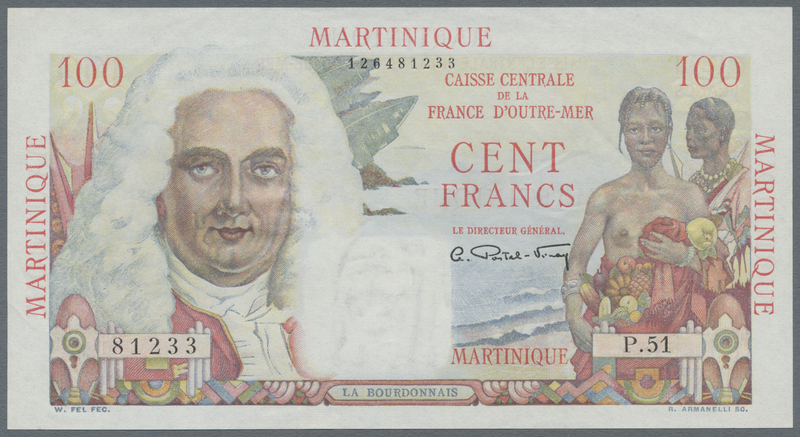 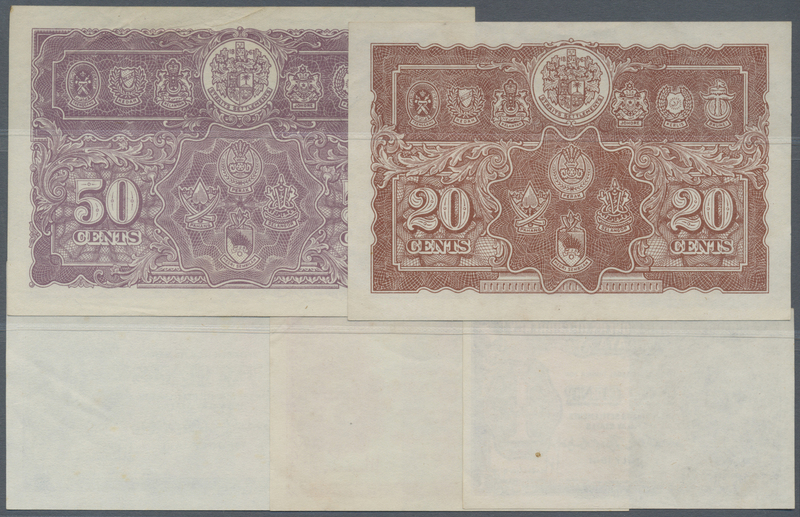 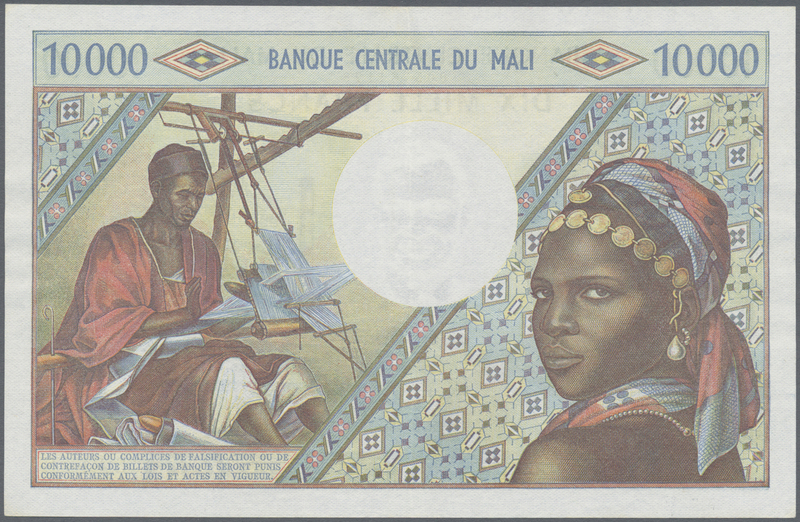 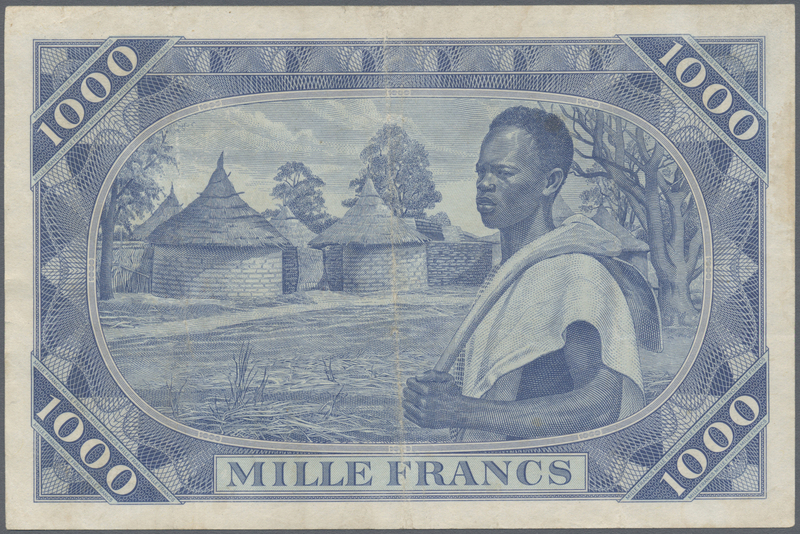 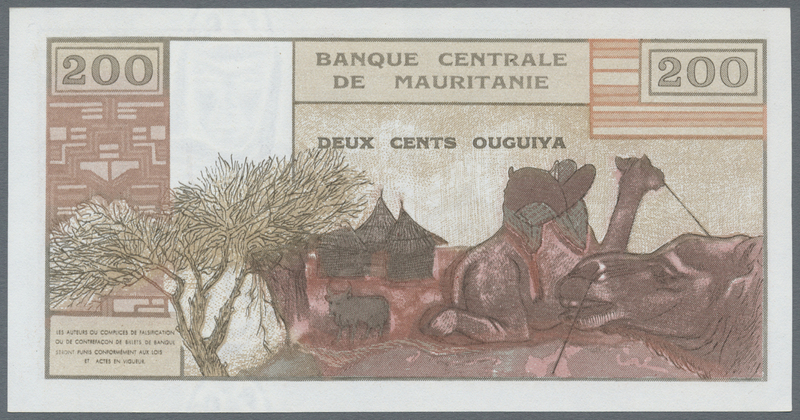 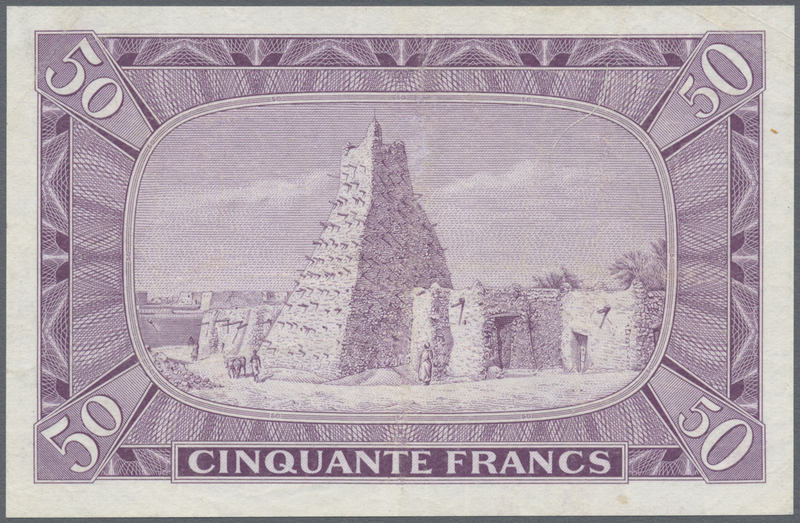 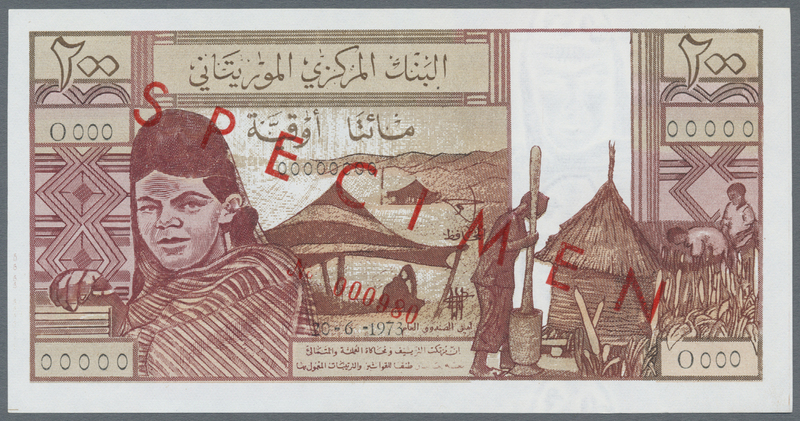 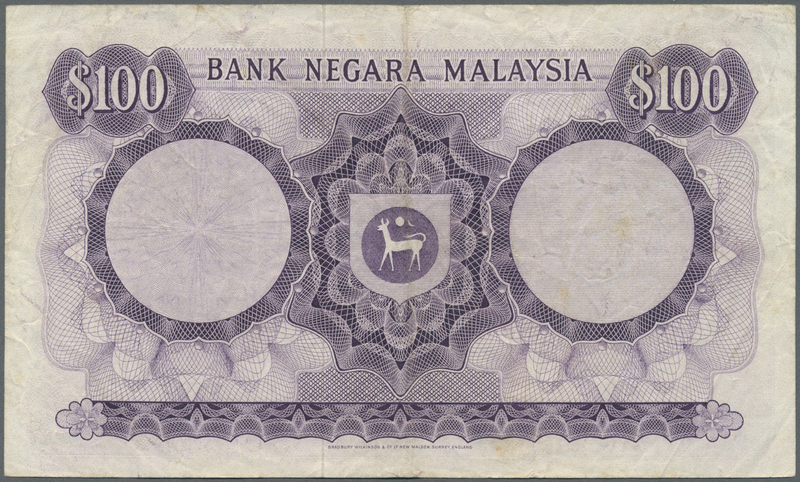 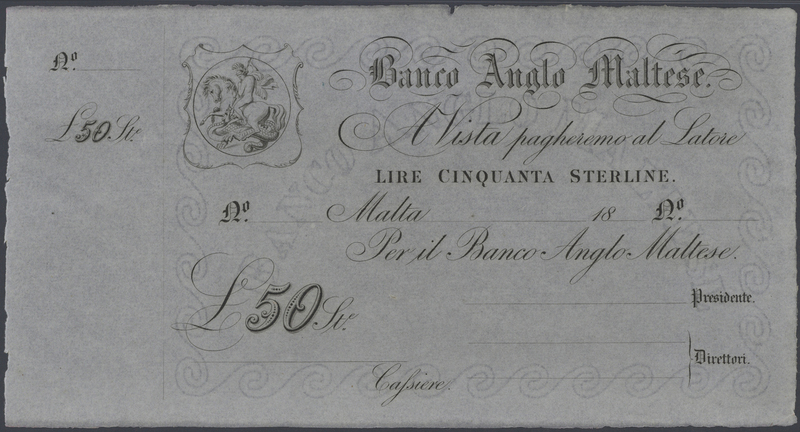 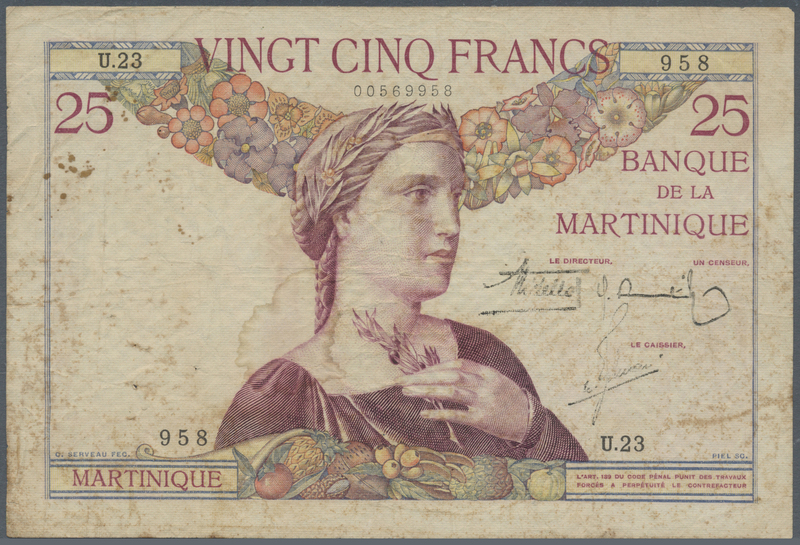 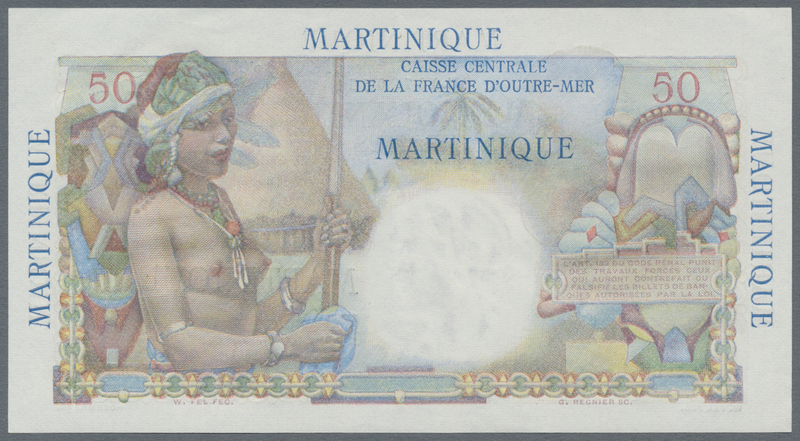 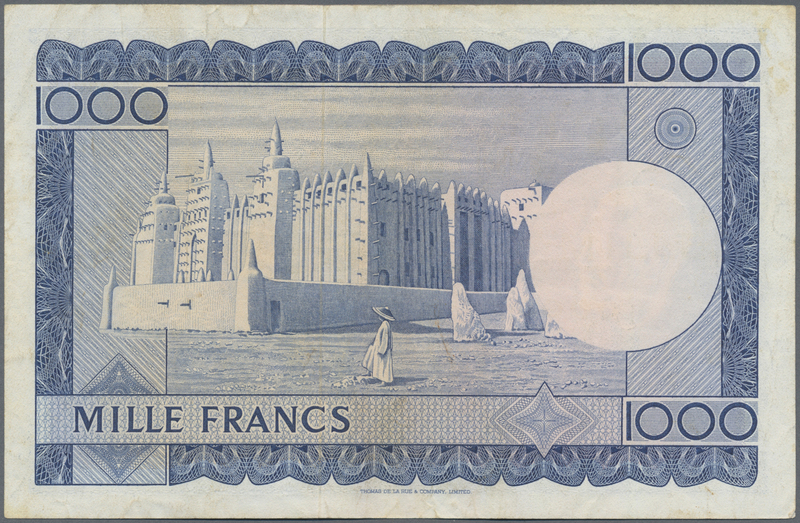 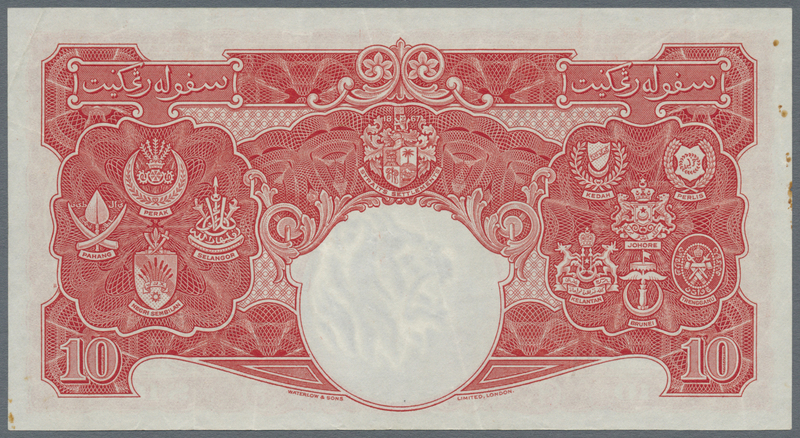 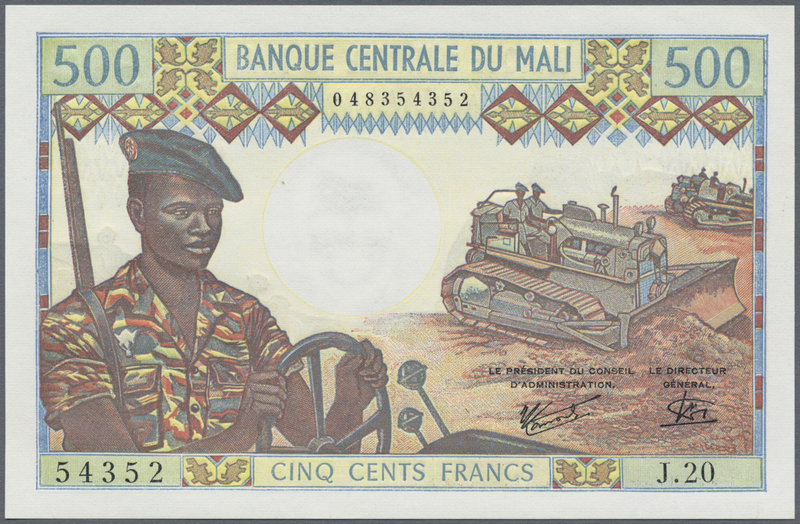 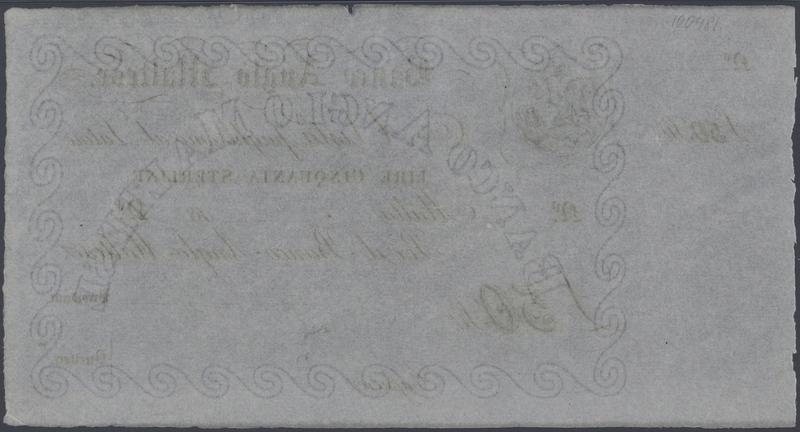 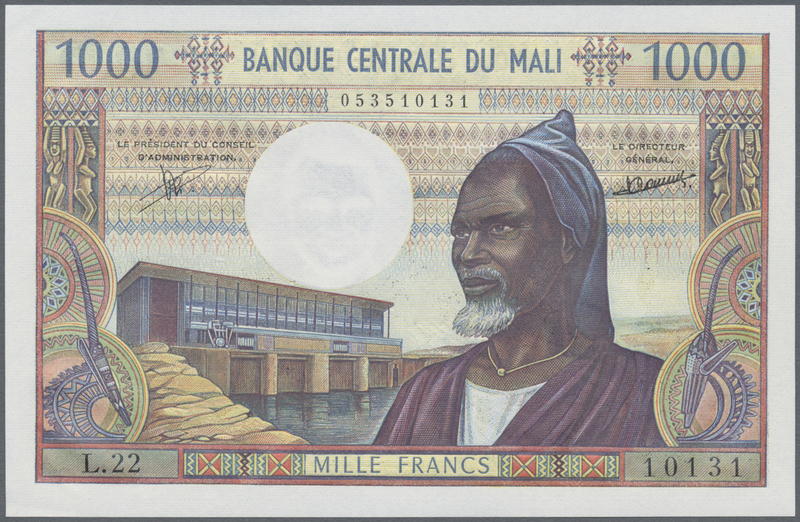 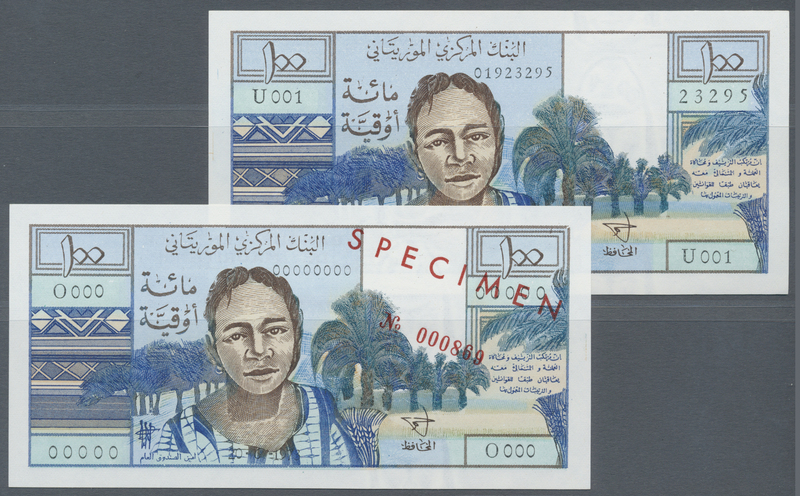 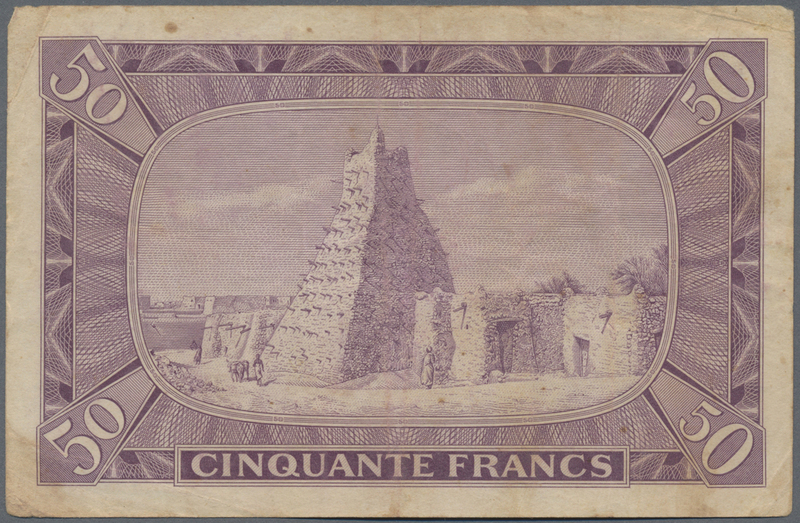 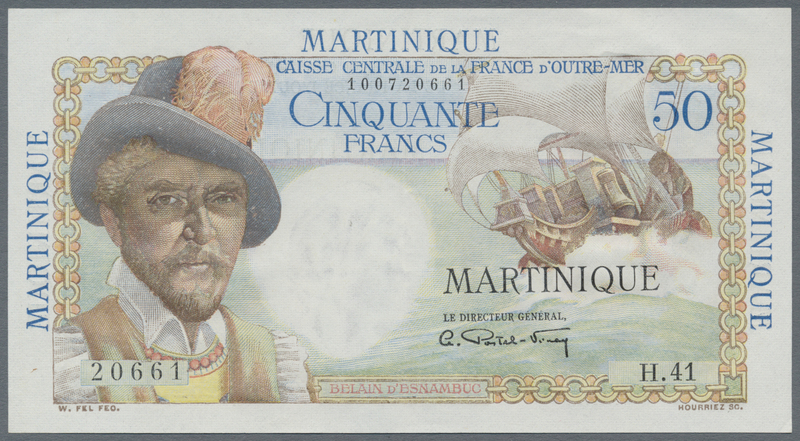 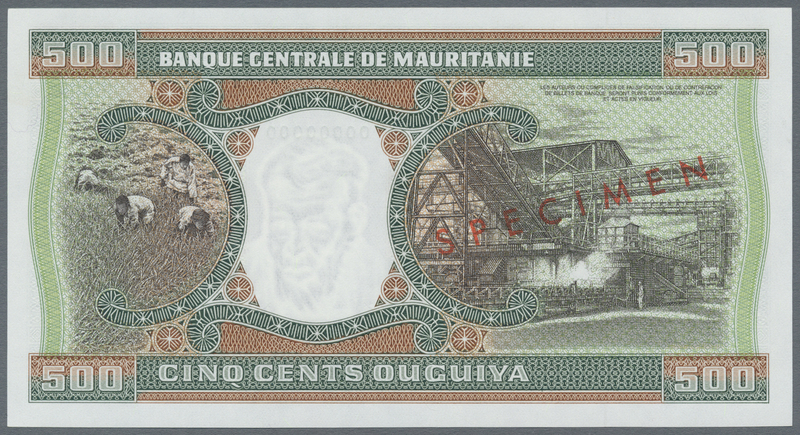 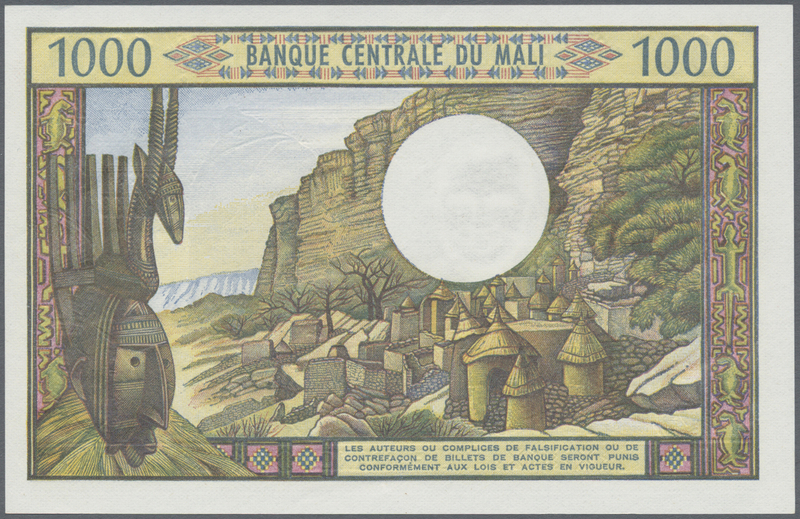 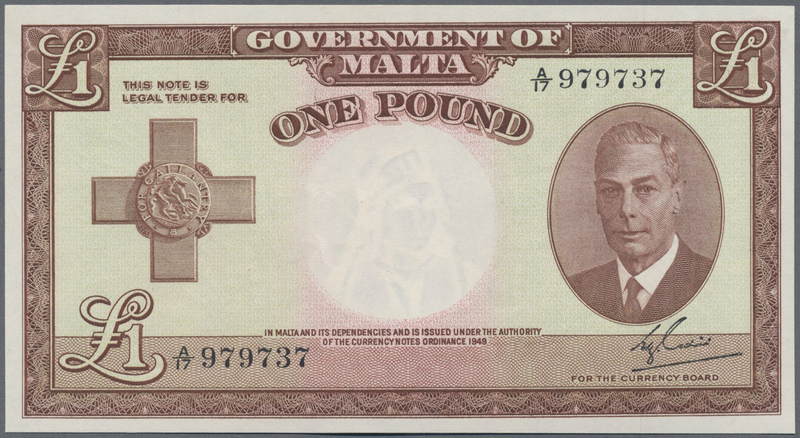 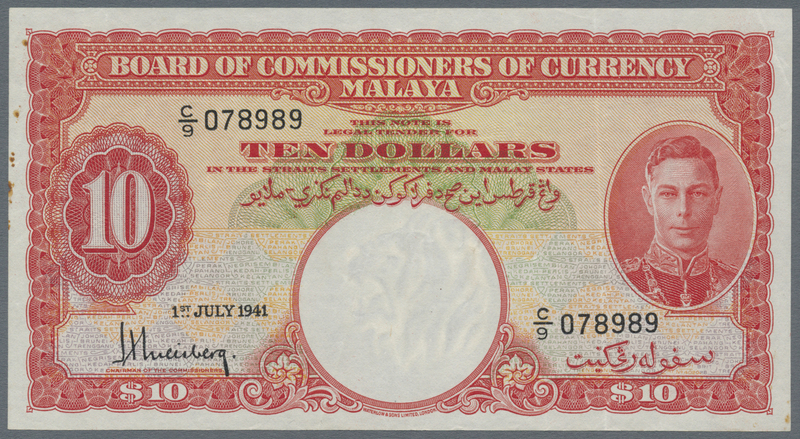 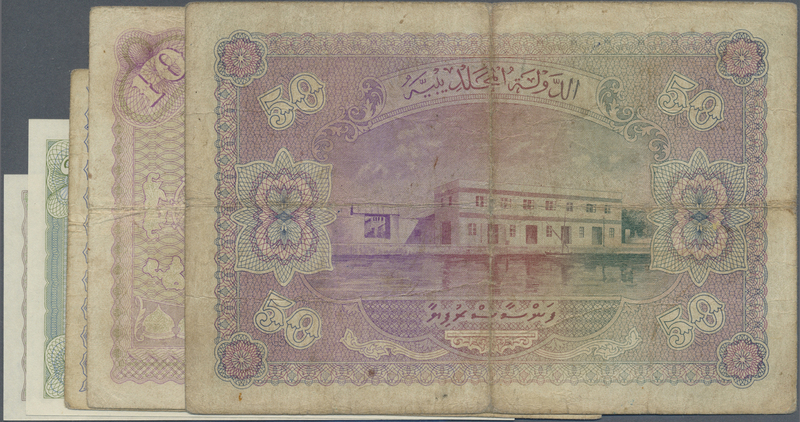 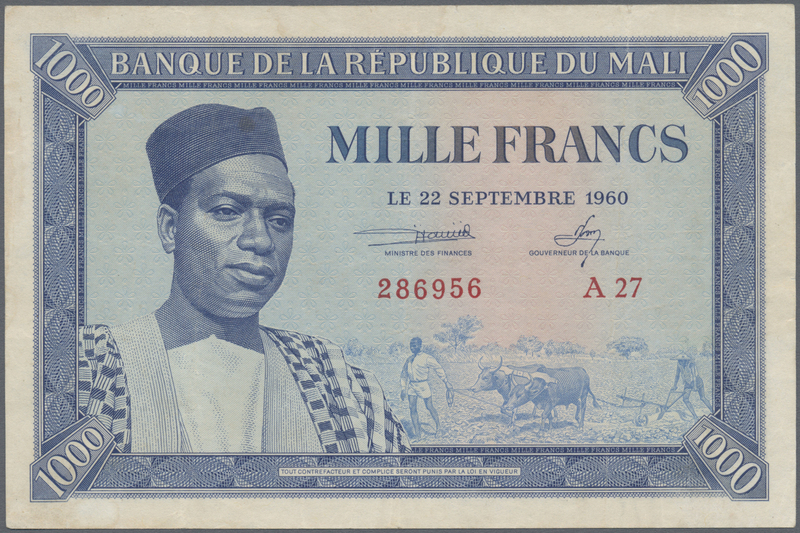 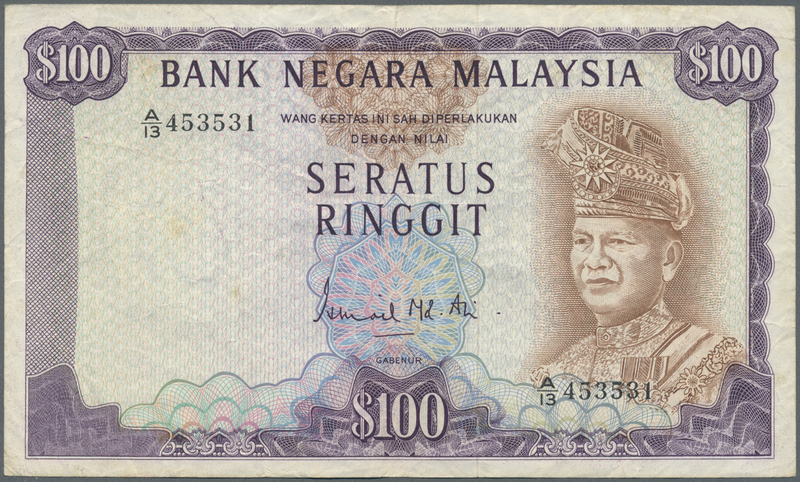 2084 Pick 11 100 Francs ND(1960) P. 11, unfolded but light waves at upper border center, probably pressed (even this would not have been neccessary), crispness in paper and original colors, no holes or tears, condition: XF to XF+. 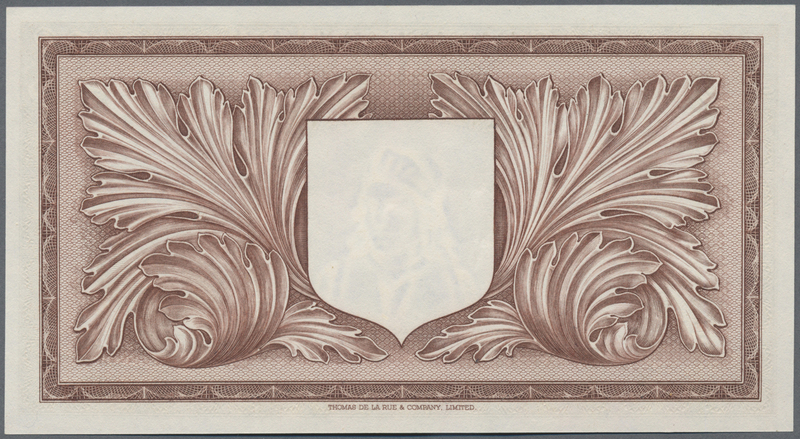 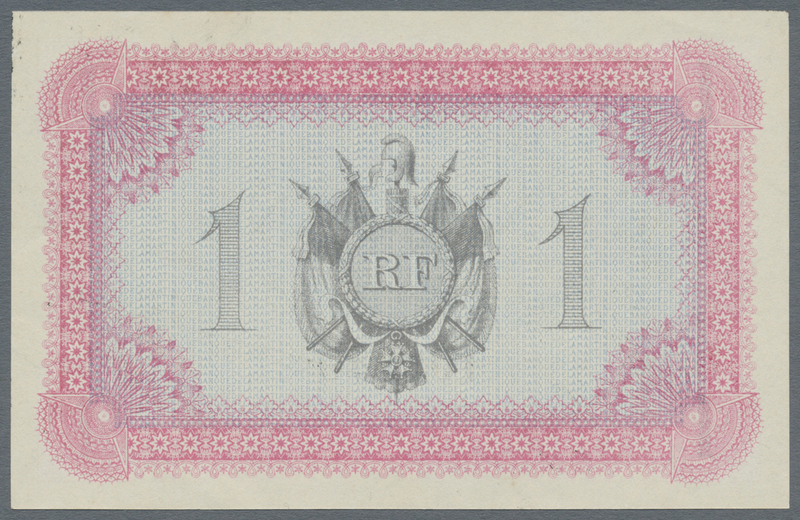 2086 Pick 13d 1000 Francs ND P. 13d, crisp original french banknote paper, original colors, great embossing of the print visible in paper, no holes or tears, 2 light dints in paper, unfolded, condition: aUNC. 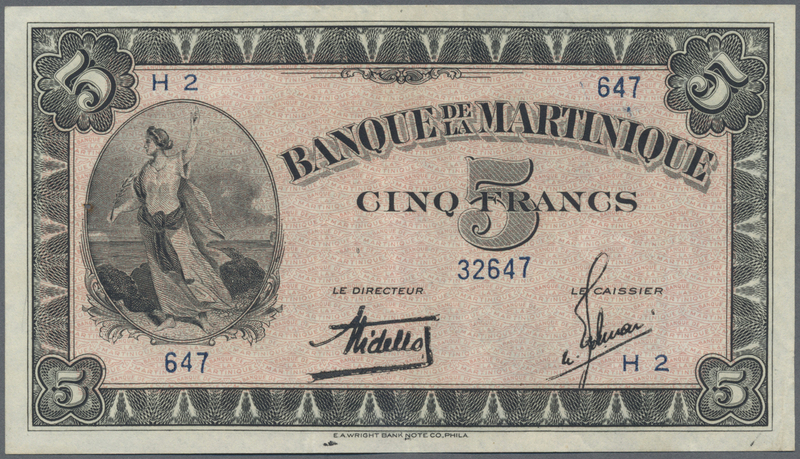 2087 Pick 15 10.000 Francs ND P. 15 in nice condition with very clean paper and bright colors, light center fold, light dints in paper at upper border, probably pressed, but still strong paper, no holes or tears, condition: VF to VF+ optically appears XF or better. 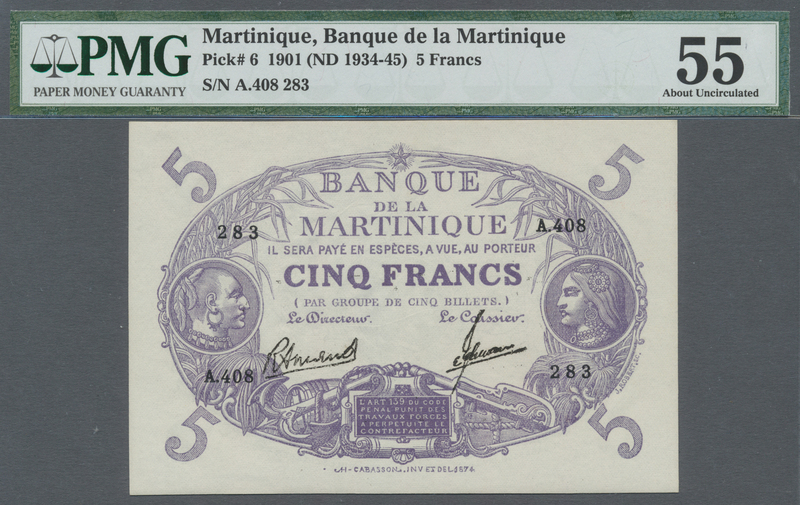 2092 Pick 6 5 Francs ND(1934-45) P. 6, in condition: PMG graded 55 aUNC. 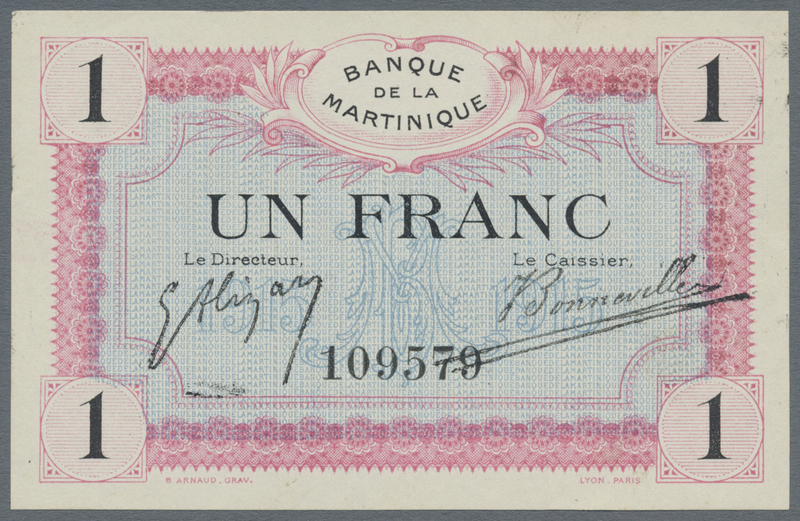 2096 Pick 17 25 Francs ND(1943-45) P. 17, pressed but still strong paper and nice colors, three vertical folds and light stain at upper left, no holes or tears, condition: pressed F+ to VF-. 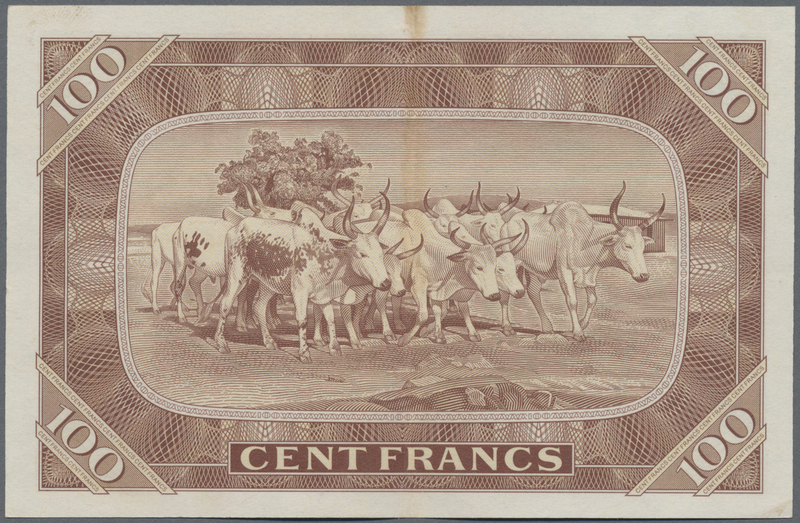 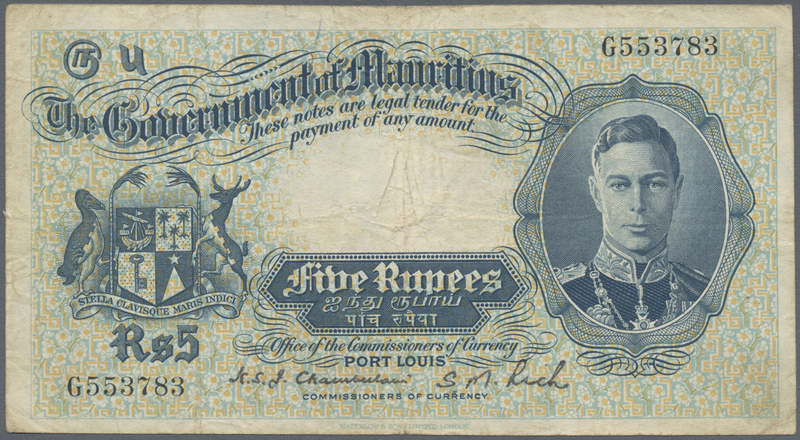 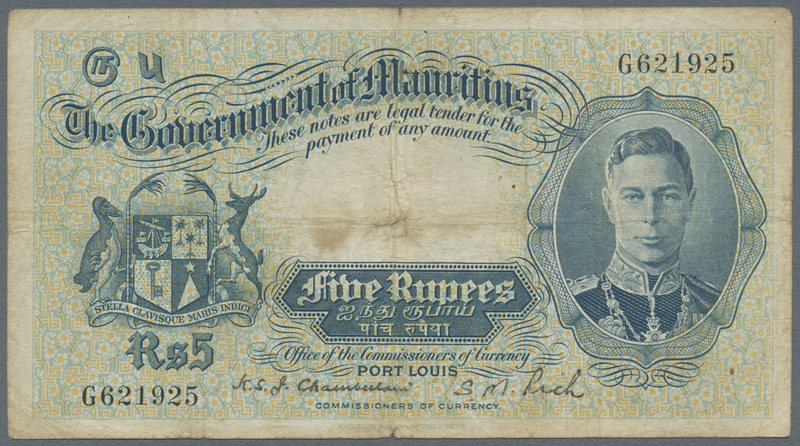 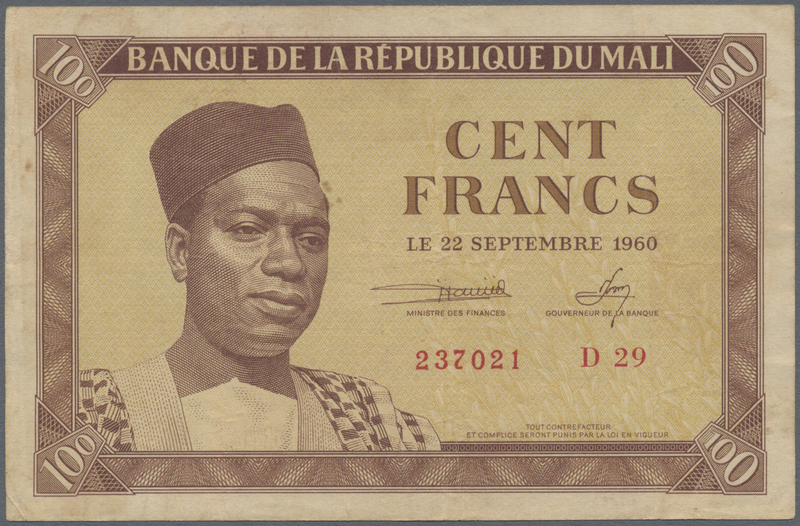 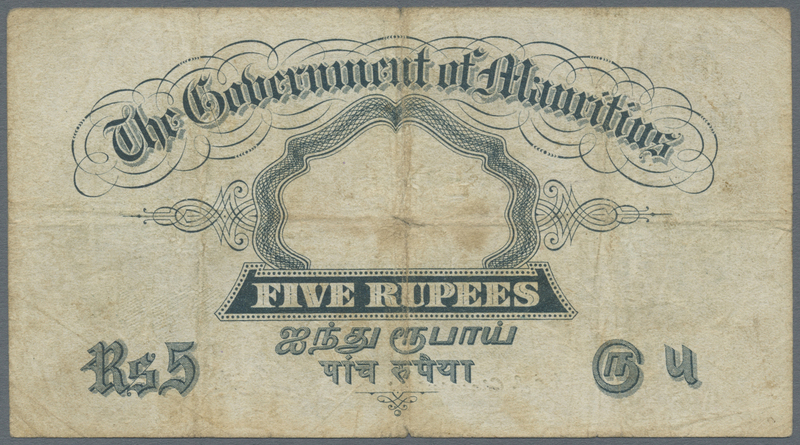 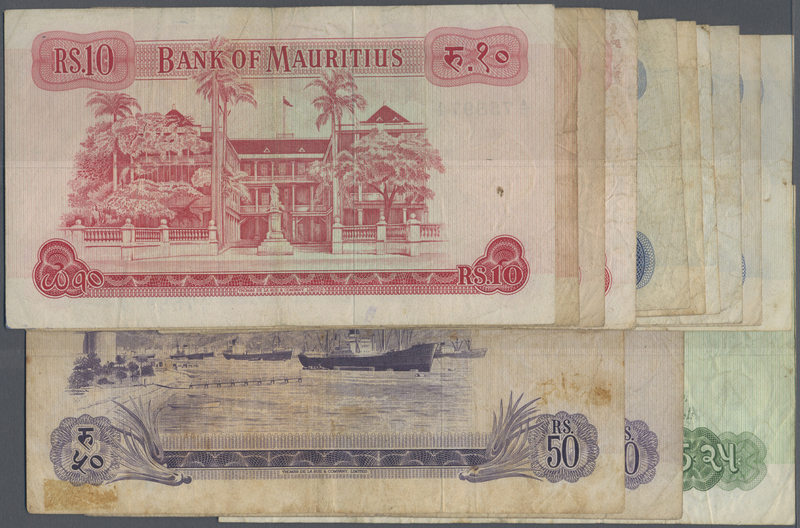 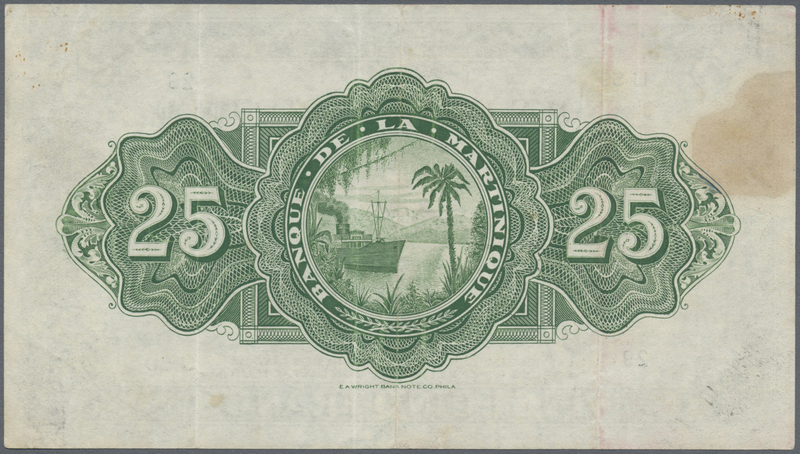 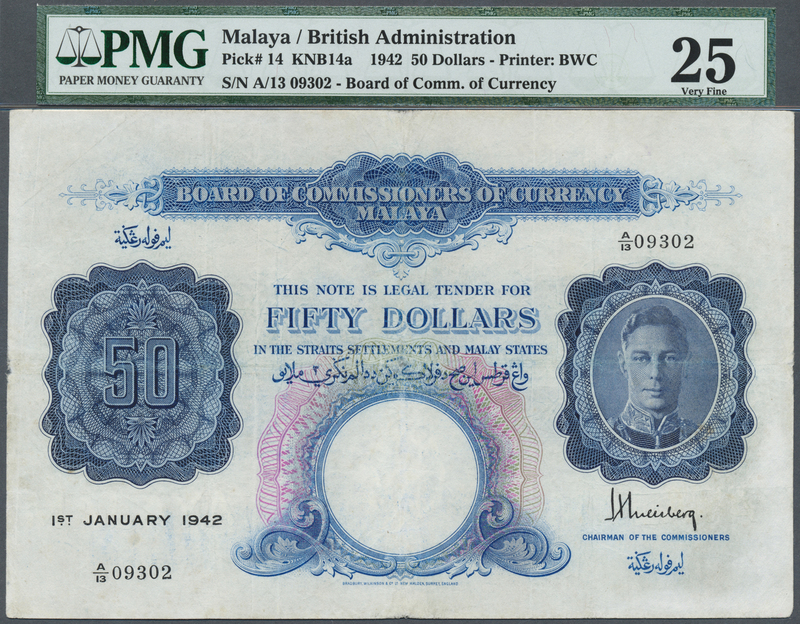 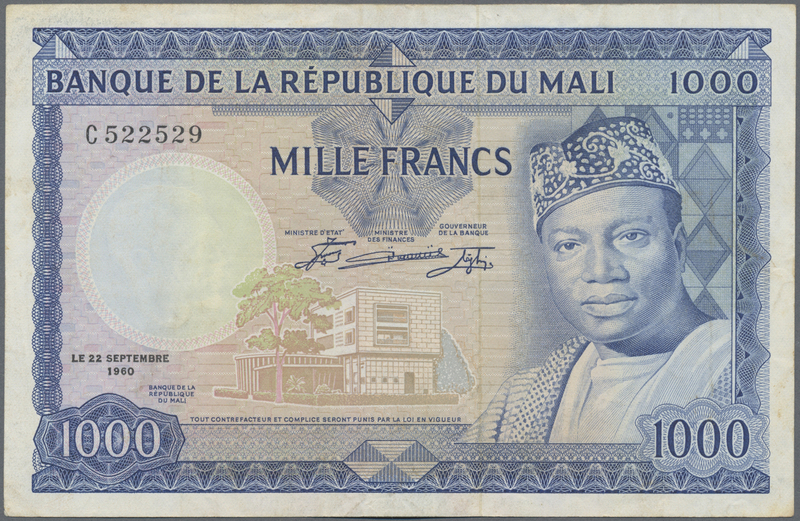 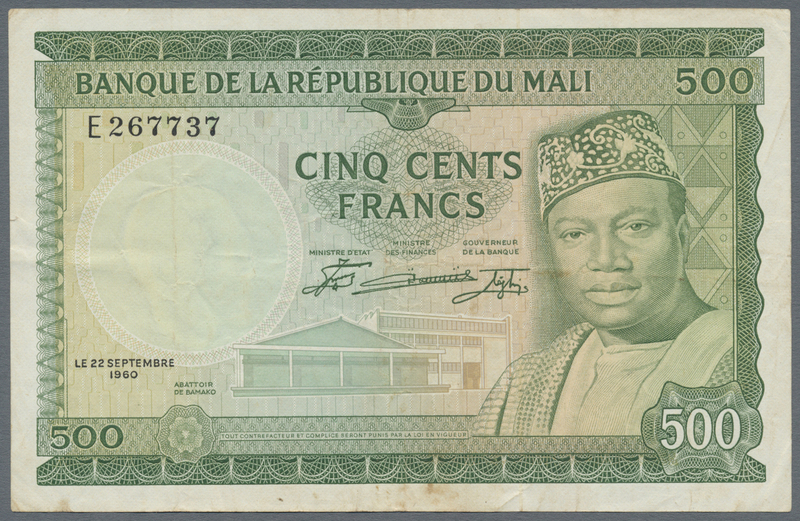 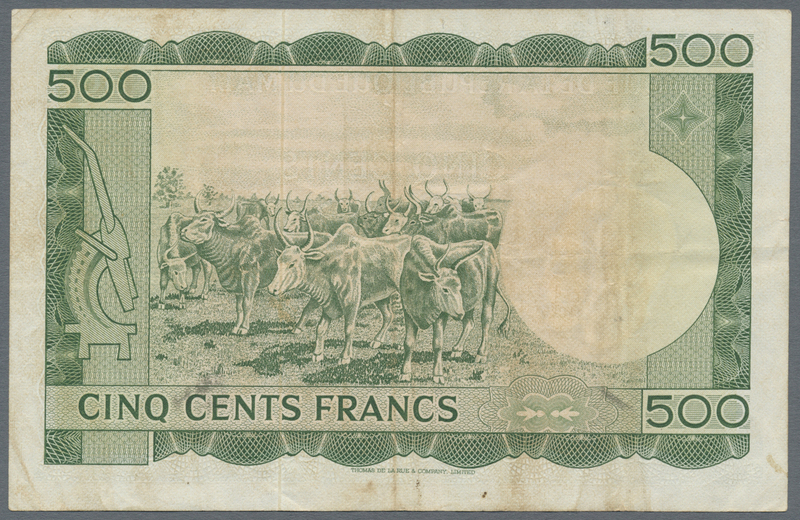 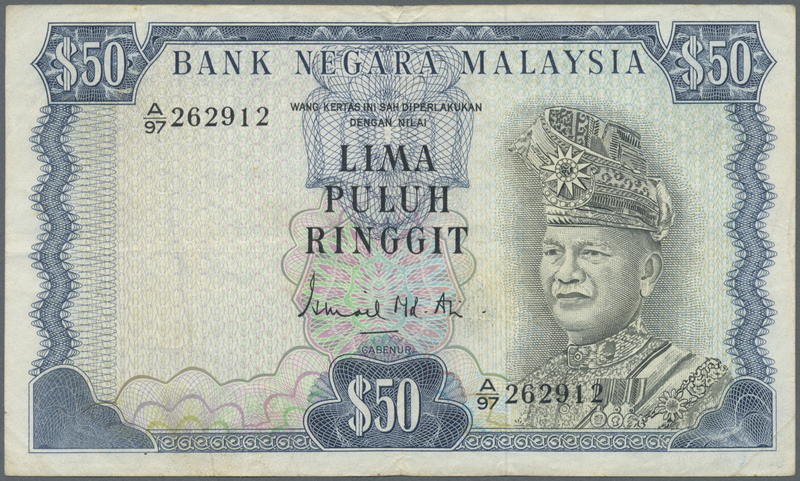 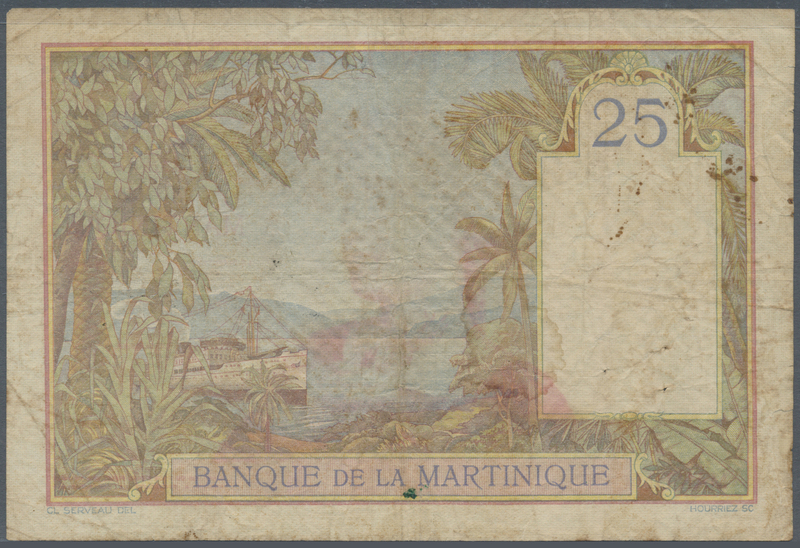 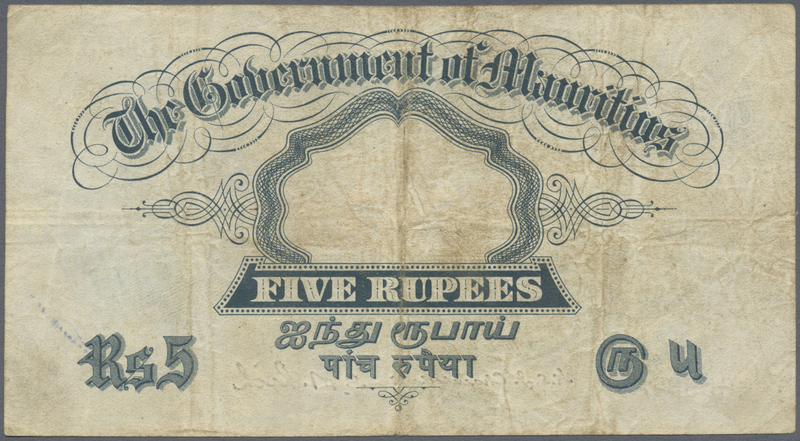 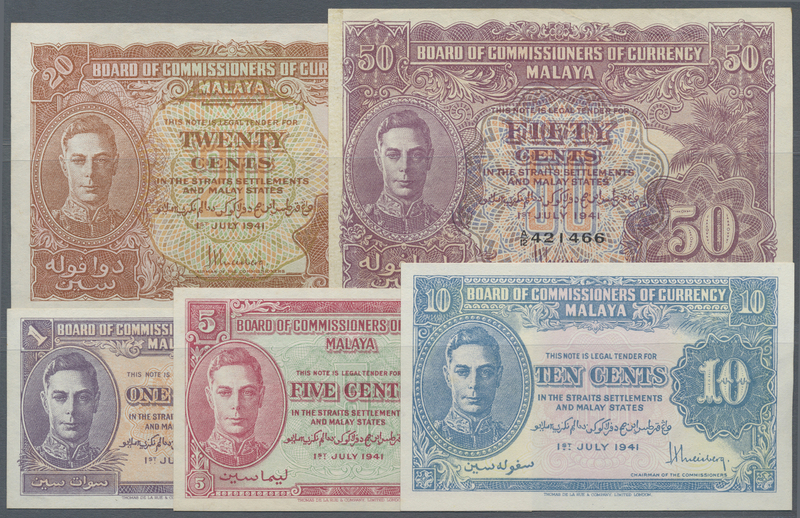 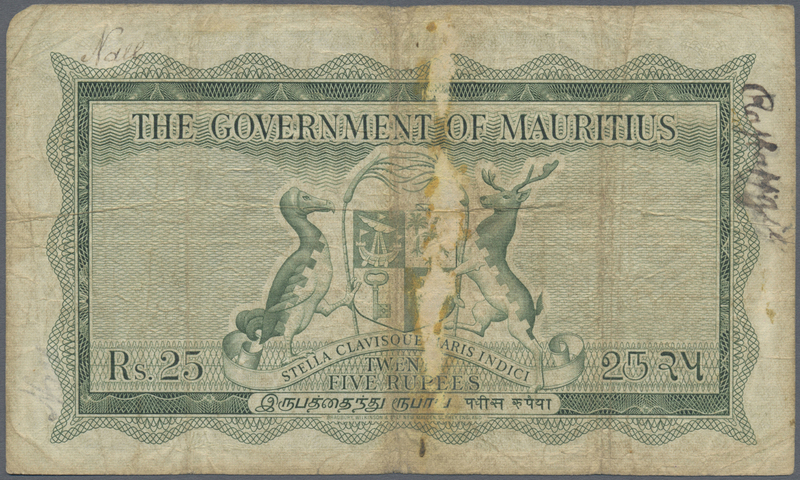 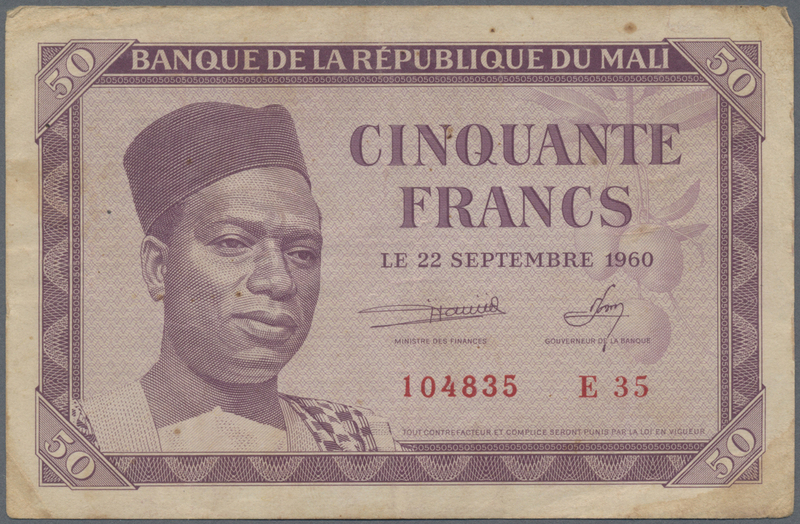 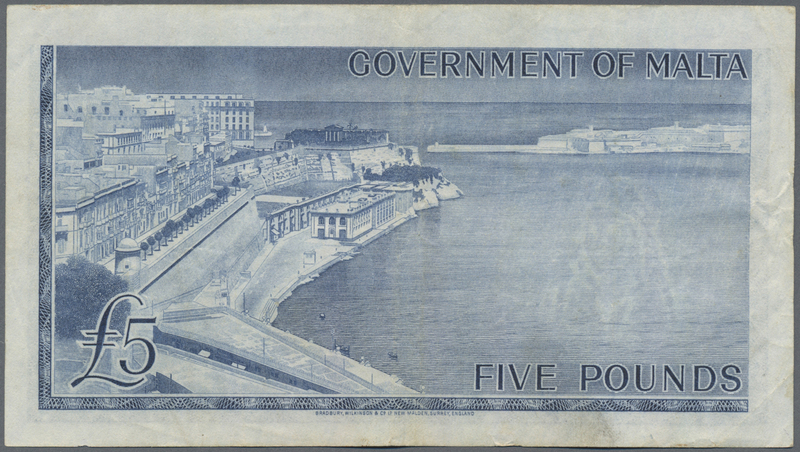 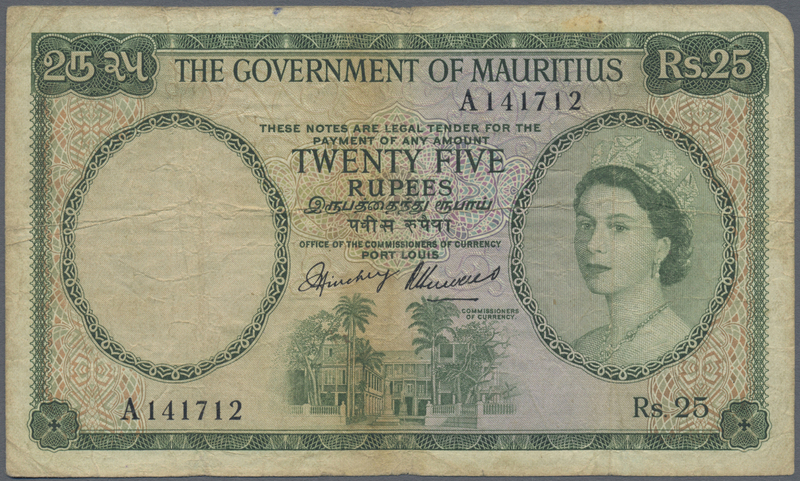 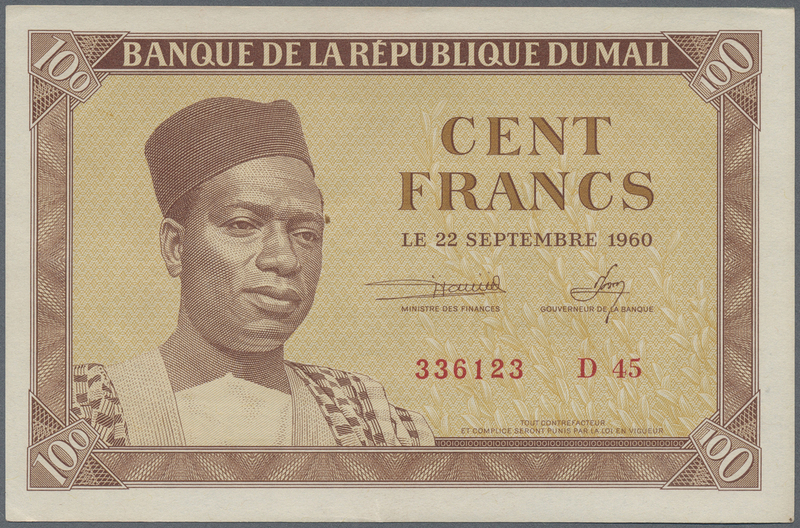 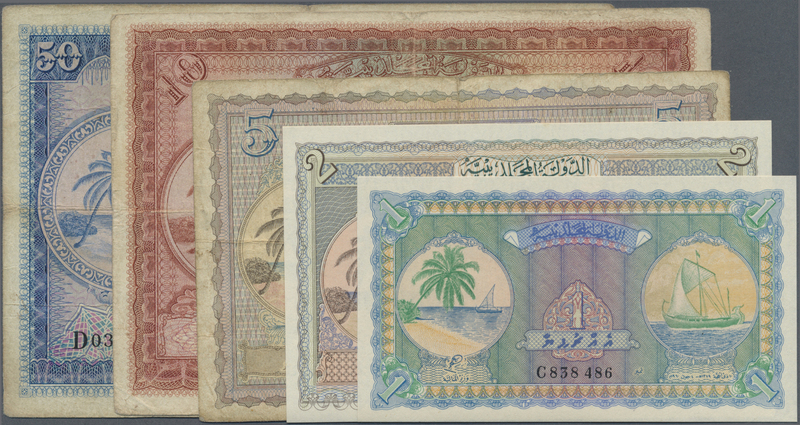 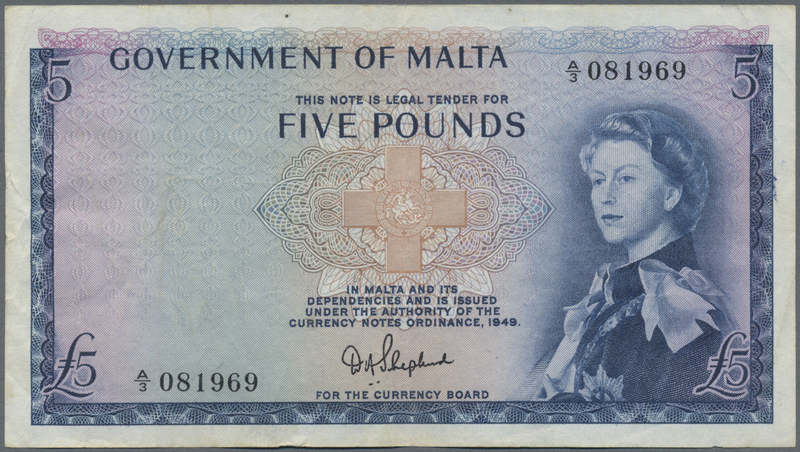 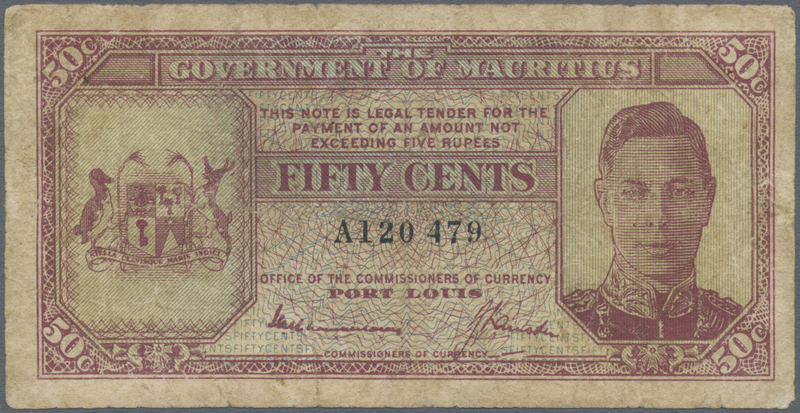 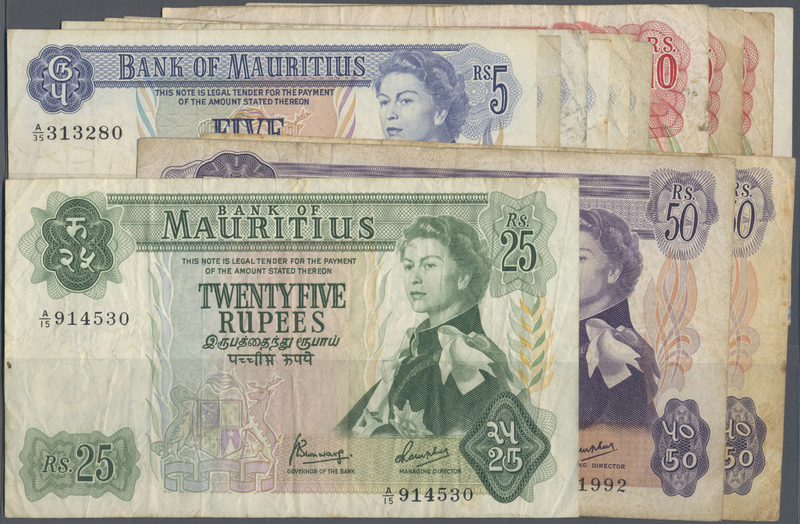 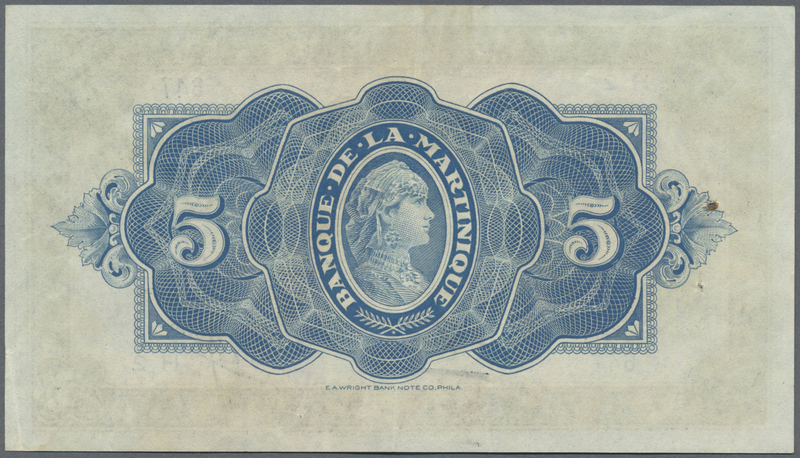 2097 Pick 30 50 Francs ND(1947-52) P. 30, light center fold, otherwise no folds, no holes or tears, crisp original paper and bright colors, condition: XF+ to aUNC-. 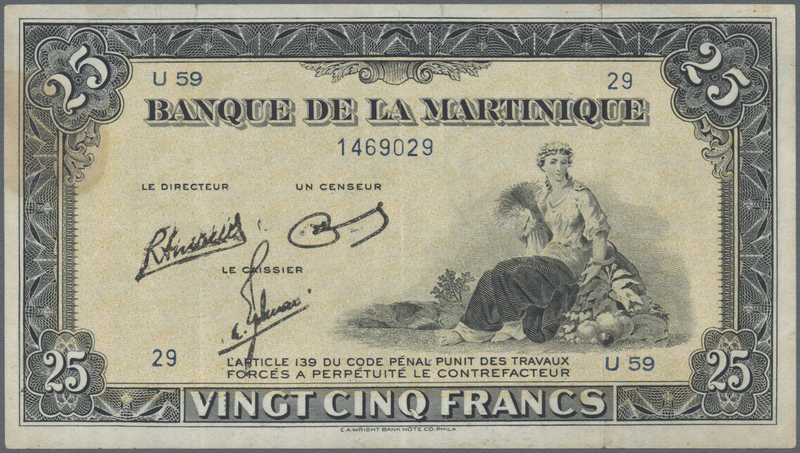 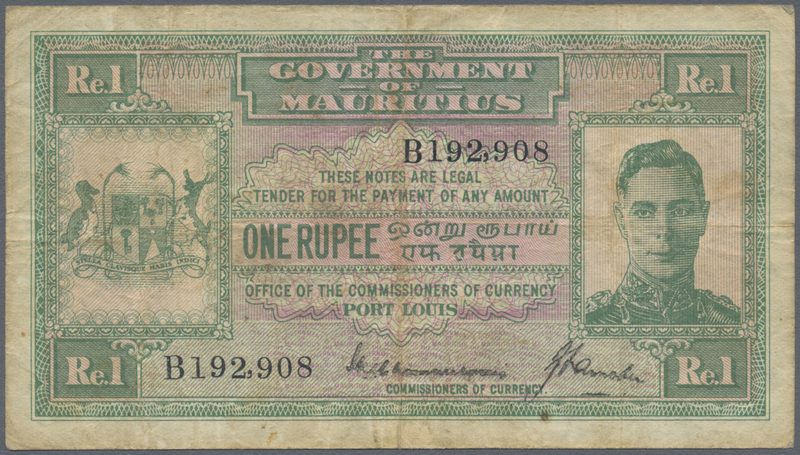 2098 Pick 31 100 Francs ND(1937-39) P. 31, in extraordinary condition for this type of note, only a light center fold, light creases at left, original crispness in paper and original colors, no holes, no tears, not washed or pressed, condition: XF to XF+.